Isenhurst Health Clubs is holding an Open Day this Saturday (27 Feb) at its Cross In Hand club between 10.00 – 16.00. If you have never set foot inside the club or have been a member previously and keen for 2016 to be a fitter and healthier year for you, then please pop down. A friendly place to train, the club has an extensive class program, an indoor swimming pool and a brand new Strength and Conditioning studio. There will be a free prize draw on the day available to those attending, existing members can enter too. 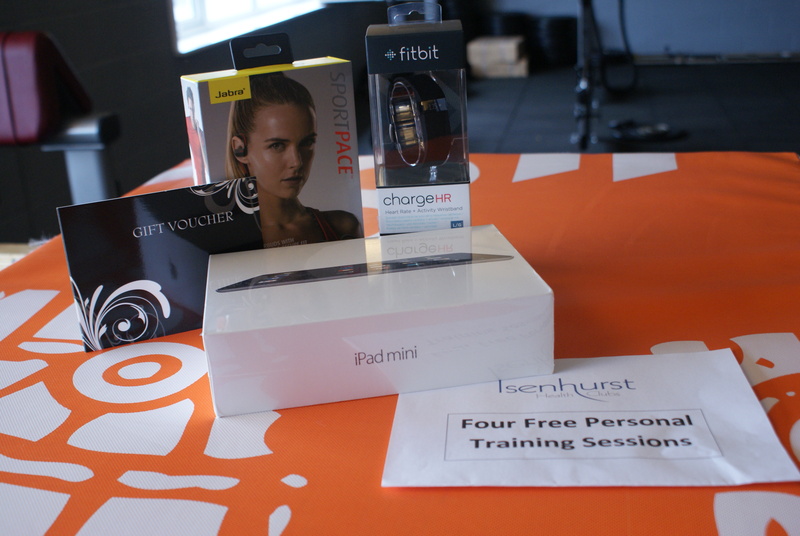 First prize is an Apple Ipad Mini232 gb, second prize a Fitbit Charge HR and third prize a Jabra Sport Pace Wireless Bluetooth Headphones. Four lucky runner-ups will receive a personal training session each, with Isenhurst Spa offering two runner-up prizes of a voucher for a full body massage or an Indian head massage. Anyone signing-up to become a member on the day will receive 20% off their first three months (Direct Debit only), with no joining fee. Please spread the word to those you think may be interested. Many thanks.